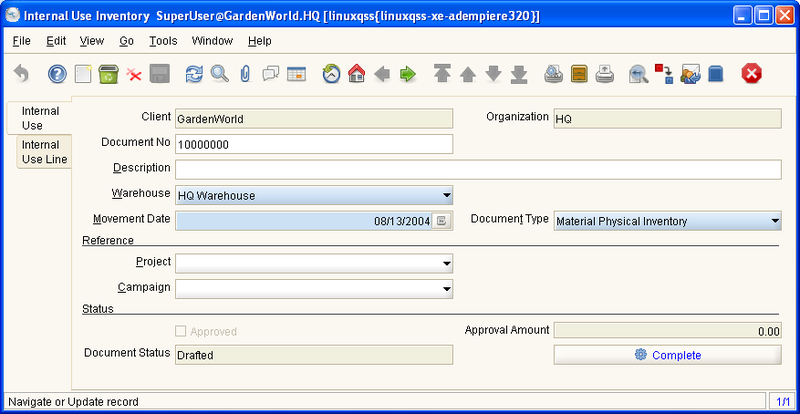 Help : The Internal Use of Inventory Window allows enter the quantity of used products. Help : The Inventory Count Line defines the counts of the individual products in inventory. This page was last modified on 14 December 2006, at 13:44.